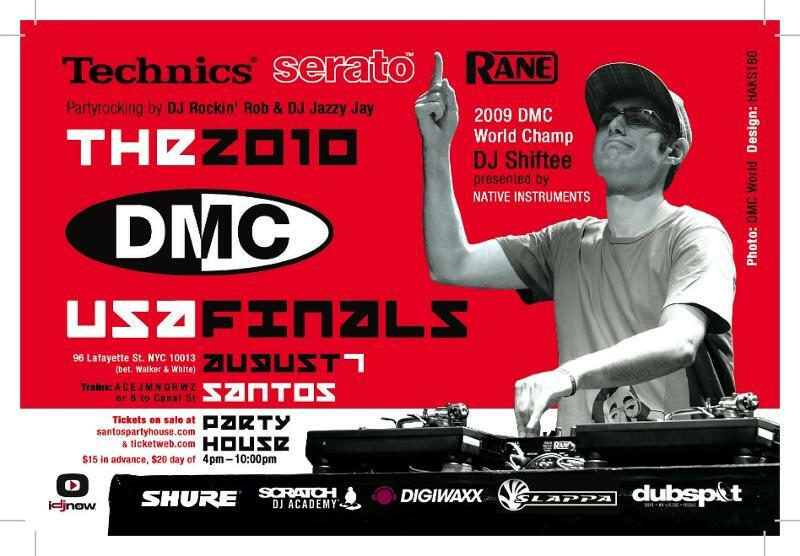 In case you didn’t know, Dubspot’s very own DJ Shiftee is the Reigning DMC World Champion, and on August 7th, he’s showcasing his incredible skills behind the decks at Santos Party House for 2010 DMC US Finals hosted by Kool DJ Red Alert! The winner of this US Finals advances to the 2010 DMC World DJ Championships in London this Fall, October 17th & 18th! Judges include: DJ Precision, Billy Jam, Mista B, DJ Slyce and more tba. $15 in advance. $20 day of. « Native Instruments Komplete 7 + Elements Coming September 1st!